As the Head Coach of The Data School, I need to be on top of all things Tableau so that I can pass that knowledge onto our trainees. What I really hope they pick up is my method for learning and my constant to desire to get better at my craft. When they graduate from The Data School, they’re clearly some of the best Alteryx and Tableau users in the World. While that’s fantastic, unless they have an approach to problem solving, a thirst for learning, and a passion for sharing, I have failed as their coach, teacher, and mentor. WHAT IS THE VISUAL VOCABULARY? 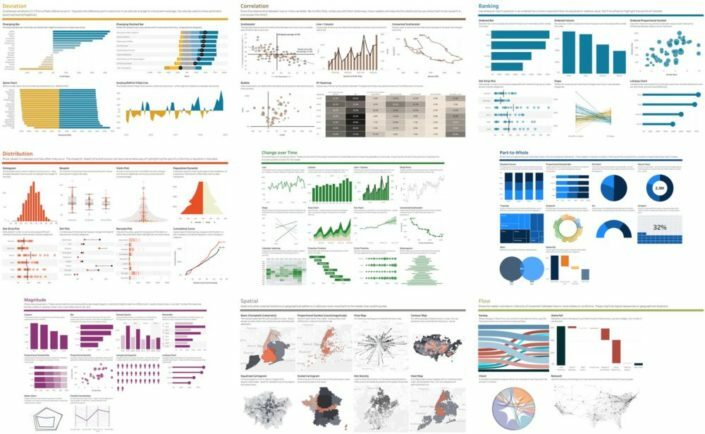 A poster and web site to assist designers and journalists to select the optimal symbology for data visualisations, by the Financial Times Visual Journalism Team. I had the honour of giving a talk to them right after I released my Tableau version and it was interesting to hear WHY they created it. They needed a way for their journalism and graphics teams to quickly pick a chart that works, plug in the data, and off they go. I even got a live demo, which was fascinating to watch. Thank you to Alan Smith and his team for inviting me over and for making me feel so welcome. Honestly, I never thought I’d get to meet Alan; he’s like a god in the data viz space. 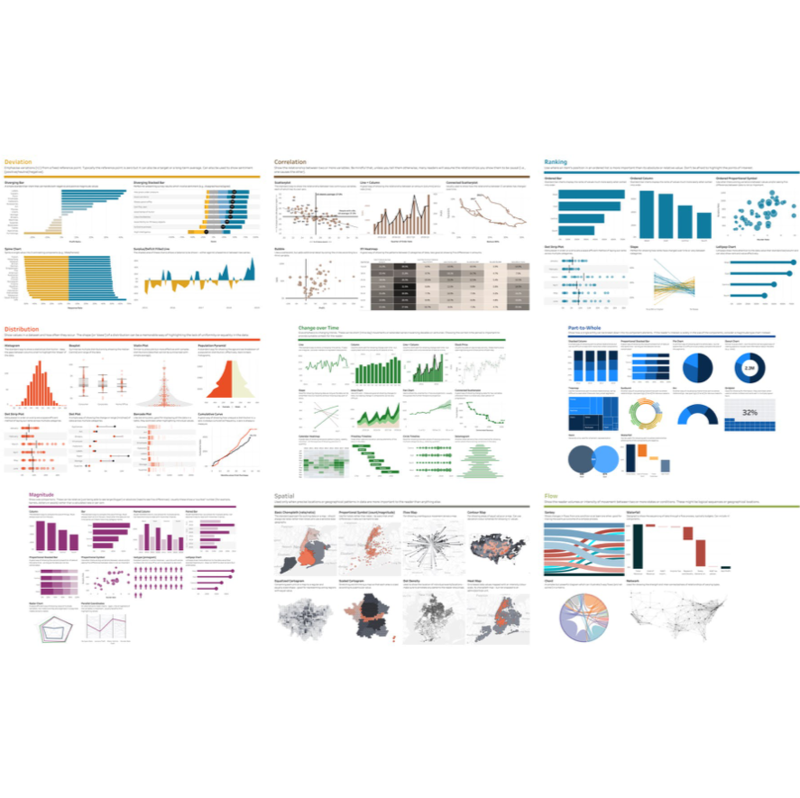 WHY DID I CREATE A TABLEAU VERSION? That’s nine opportunities to learn and develop my skills. I can now use these as practice exercises at The Data School so that the knowledge can be passed along. Ultimately, allowing others to learn from what I’ve learned is by far the most important to me personally. If I can help someone learn faster, I should. If you can help someone learn faster, you should. Pass on the knowledge you’ve gained and it’ll pay you back tenfold. And this is the core value that stands behind both The Information Lab and The Data School. Keeping our knowledge to ourselves won’t help us grow as a company and as a brand. We’re evangelists for Alteryx and Tableau and if evangelize, people will look to us when they need help, which in turn encourages us to share even more. I drill into The Data Schoolers how important blogging, Tableau Public, and the Alteryx Community are to building their personal brands. No one will build you brand for you; you have to take ownership of it yourself. Don’t believe me? Check out the volume of content that the team produces on the blog. There are an incredible amount of tips and trick to help you learn Alteryx and Tableau. There are hundreds and hundreds of visualizations to draw inspiration from. Check out their Tableau Public profiles and see how they’ve developed. Connect with them on LinkedIn and see where they’ve been able to go on their placements and the roles they now have. I challenge you, the reader of this post, to share. Share the Visual Vocabulary. Blog and share what you are learning. Share your visualizations. Hi Andy this is great really useful is there any way to get a version for 10.3 as my work takes an age to upgrade so annoying. I do have newest version with my personal license however even down grading most have hyper extensions. Anyway this workbooks great even I could get all the sources I can try rebuild it myself.